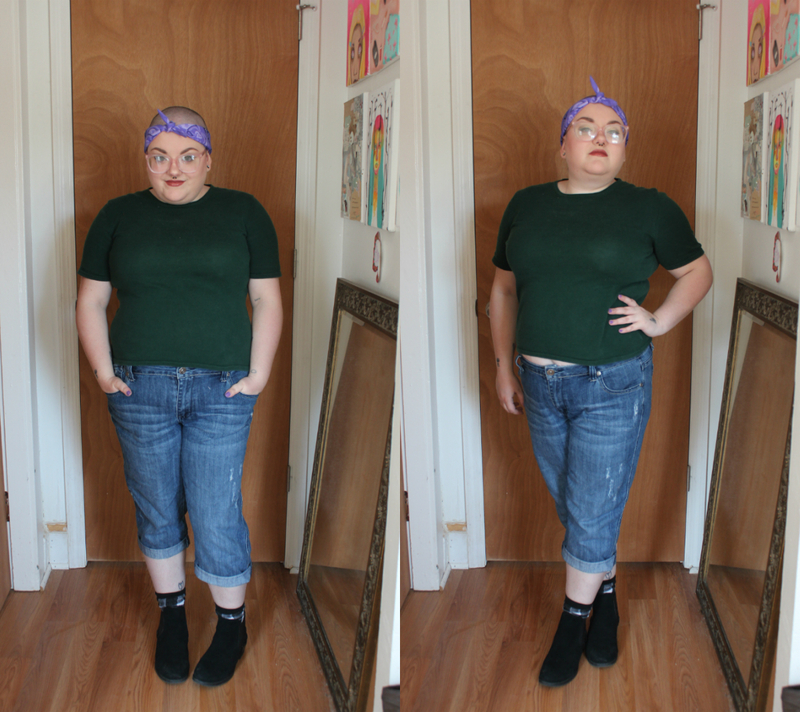 I definitely didn’t expect that styling outfits to go with my newly shaved head would be as hard as it is. All my looks are now required to have a bit of an edge to them- a sort of classy punk feel. 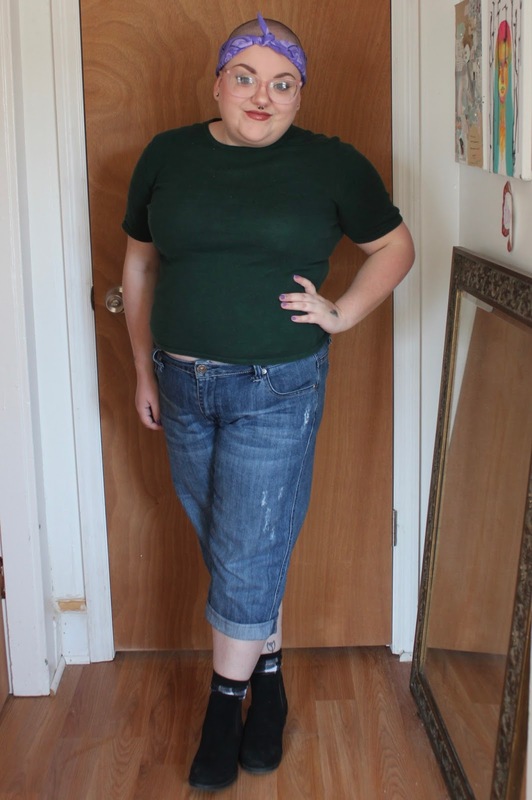 I’m really digging that style, but a lot of my more feminine shirts have been left by the wayside because of it. It’s only a matter of time, however, before my hair starts growing back in. It’s already longer now, as I write this, than it was in these pictures. I really love this simple outfit I put together. The Eddie Bauer shirt was thrifted, as were my black boots, which I gushed about in my "January Faves" post. I borrowed the purple bandana from my mom, making me think that I need to get a couple of my own bandanas. They look super cool on my shaved head. The day was warm enough to allow capris, but I added some thick plaid socks just in case. 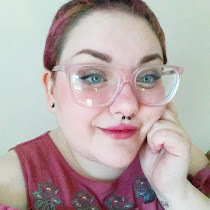 I'm also really digging my pink framed glasses with the shaved head. What do you think? I'm obsessed with everything about this outfit - those boots are killer and I love the pink frames! I'm really digging the bandana look! I just myself a little gingham hair band with a bow too since I'm getting more and more into hair (or just... head) accessories.